Kaisha Island in Nantong, Jiangsu province is a provincial tourist resort with a development area of 15.42 square kilometers and a total investment of eight billion yuan ($ 1.16 billion). Integrating into Nantong’s major tourism pattern of "one mountain, one water, one city, one island", it will be shaped as a theme resort, featuring a "unique island" and "sports and leisure" in the Yangtze River Delta region. With a superior geographical location and favorable developing conditions, Kaisha Island is a key platform and strategic pivot for deepening the development along the Yangtze River and coordinating the work in the Yangtze River region with the Huanghai Sea area. 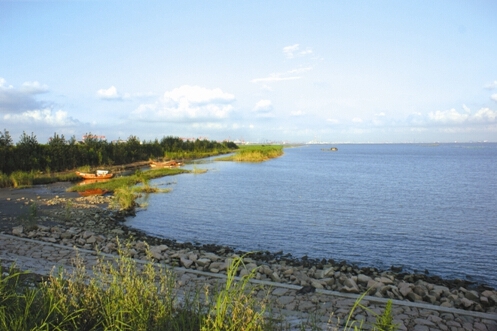 Its central location in the urban circle of the Yangtze River Delta enables Kaisha Island to provide diversified sports activities for tourists from cities in the middle and lower reaches of the Yangtze River, making it one of the most reputable young tourist destinations in this area. Meanwhile, it serves as a perfect echo and foil for Nantong Langshan Mountain scenic spot (4A) and Haohe River scenic spot (5A) so that together they can give visitors a mixture of travel experiences.